Many hours of hard physical labor by volunteers from Covenant Community Church and Central UMC Asheville have given our grounds and clothing closet fresh new looks! Two recent Saturday work days were dedicated to lots of painting, shelf hanging, walkway building, planting, and generally sprucing up the place. A big HSC thanks to all who helped! 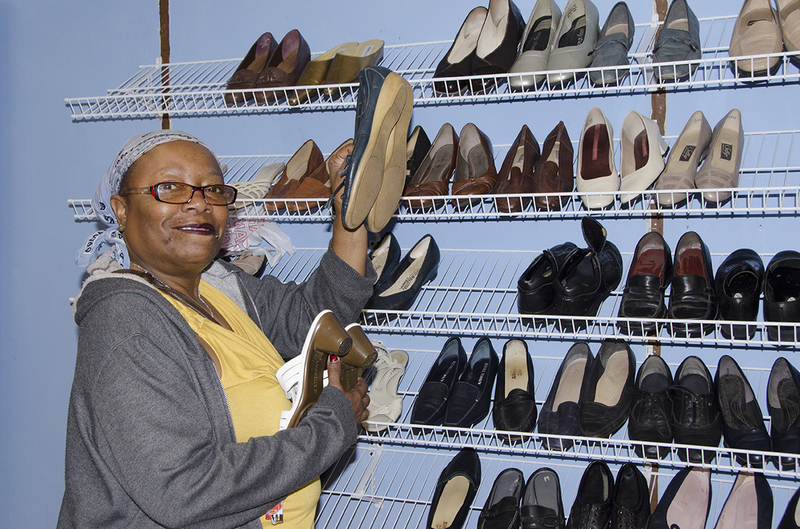 We caught Debra browsing among the new shoe racks in the clothing closet. Looks like she’s found a pair she likes!